The cobalt standard model is made from alloy with at least 70% cobalt. It provides the ultimate in cut and edge durability with its lightweight and ergonomic feel. 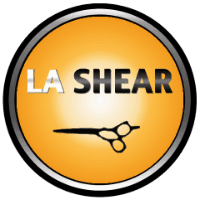 Each shear is handcrafted by our master smiths and comes in level-set and off-set styles. Available in sizes 5.0", 5.5", 6.0", 6.5", 7.0". Founded in 1953, Kikui Scissors are exquisitely crafted in a small family-owned and -operated factory located in Wakayama, Japan. Placing emphasis on functionality and performance, Kikui Scissors utilizes an alloy with over 70% cobalt to achieve the perfect balance of durability and ultra-smooth cut. Each pair of scissors is finished by one of three masters, including Mr. Kikui himself. The cobalt standardmodel is made from alloy with at least 70% cobalt. It provides the ultimate in cut and edge durability with its lightweight and ergonomic feel. Each shear is handcrafted by our master smiths and comes in level-set and off-set styles. Available in sizes 5.0", 5.5", 6.0", 6.5", 7.0". The cobalt standardmodel is made from alloy with at least 70% cobalt. It provides the ultimate in cut and edge durability with its lightweight and ergonomic feel. Each shear is handcrafted by our master smiths and comes in level-set and off-set styles. Available in sizes 5.0", 5.5", 6.0", 6.5", 7.0", as well as off-set 5.5" and 6.0" in gold ($875 and $900, respectively).